The alleged offence took place on Sunday the 3rd of June 2001. 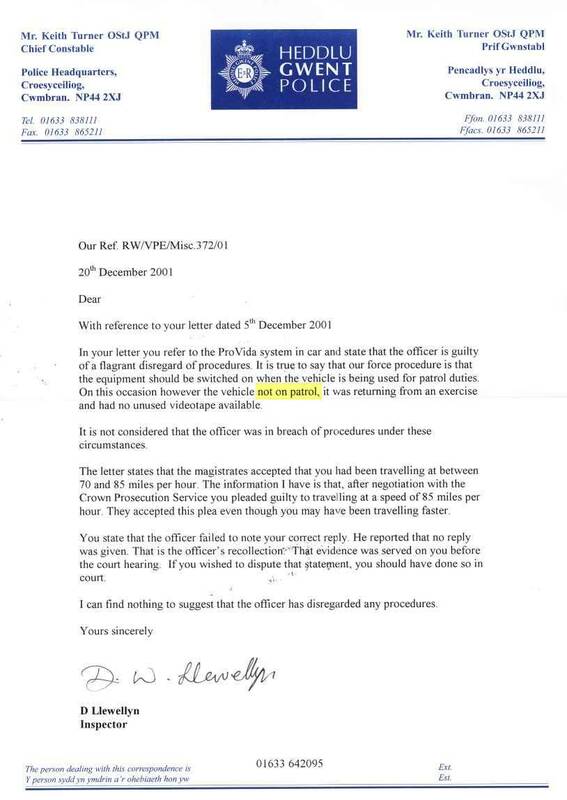 We've published some of the documents relating to this case below, but in particular you should read the police statement (which was written 11 days after the event) and compare it with the same officer's statement in our case. 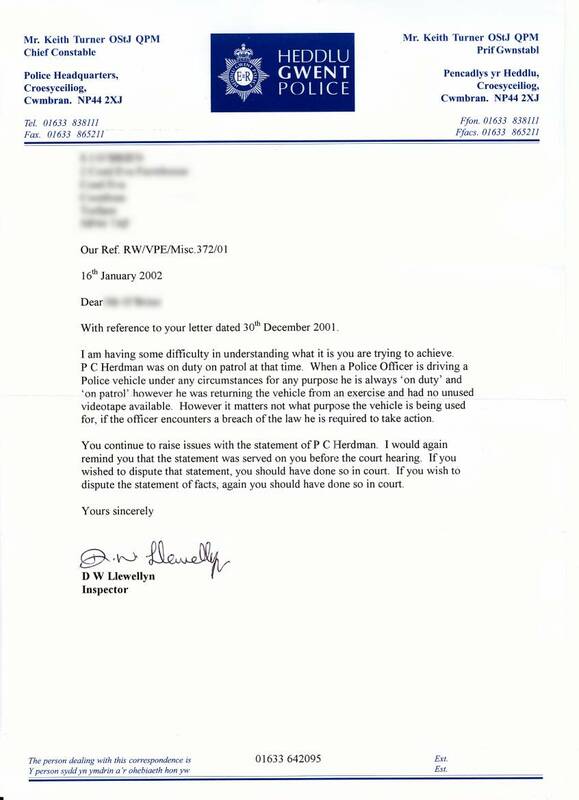 You should also read the correspondence relating to the complaint made by the motorcycle rider, as we think that it will amaze you - not surprisingly, Gwent Constabulary has not yet replied to his last letter. The rider, who is a member of the Royal Society for the Prevention of Accidents (RoSPA), was being prosecuted for riding his motorcycle at a speed "in excess of 100 mph". The posted limit was 70 mph. With our assistance, the Magistrates accepted that he was travelling at 85 mph, and the rider received 3 points and a £60 fine. The Magistrates also declined the Prosecution's request that the rider should pay substantial costs. 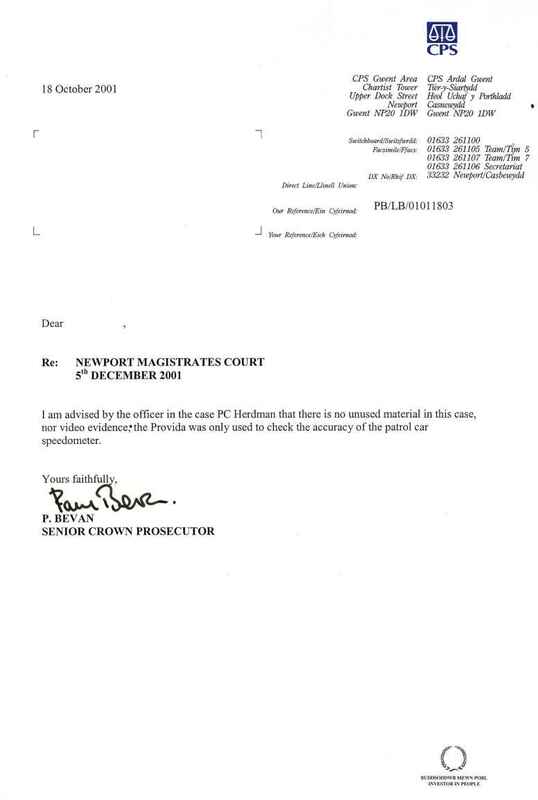 There are more than 30 letters relating to this case; this motorist must have cost the CPS a small fortune! 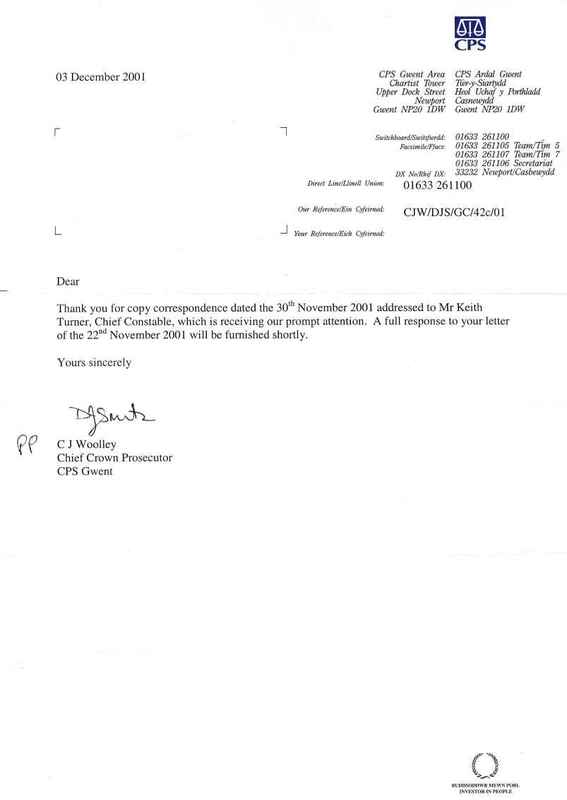 If you find the conduct of the public servants in the CPS unacceptable, please don't write to us, write to them.